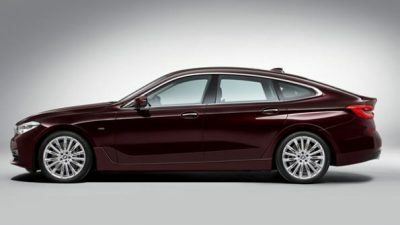 BMW’s latest 6 Series Gran Turismo is a big luxury sedan with loads of room, plenty of power and special refinement. The Bowers & Wilkins Diamond surround sound system features an output of 1400 W and outstanding studio-quality sound for every seat occupant. 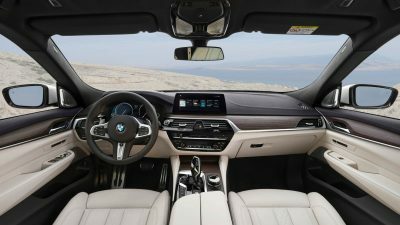 As part of an updated suite of connectivity options, the new BMW is also claimed to offer improved smartphone integration with optional inductive charging and a WiFi hotspot for up to 10 devices. There are also numerous accessories for the new Turismo, some of which include the BMW rear bike carrier Pro, BMW roof box, BMW Travel and Comfort System with coat hanger, BMW wireless charging case and a fitted rear luggage compartment mat. Buyers can choose between four levels of equipment, and a range of alloy wheel designs and sizes: standard, sport, luxury and M-sport equipment levels. The rim sizes range between 17 and 21-inches. The latest iDrive system is available in the new 6 Series Gran Turismo via the touch screen situated in the centre of the dash. Touch, voice, gesture and knob control make the multifunction touchscreen computer very easily accessible. BMW even offers the 6 Series Gran Turismo with GPS scanning for parking spots in any of the major cities. You’ll never need to sweat it again when it comes to finding yourself a parking space in the inner city. Sport and luxury marry perfectly to offer an interior experience you would be proud to display in a palace. Leather seats are superb to look at and even better to sit in. Balanced BMW dash design and switchgear layout are typically very well placed and the dash never looks top heavy or overweight like some other premium car brands tend to display. High class materials look especially nice, and the chrome/leather combinations are delicately tailored for maximum style. A panoramic glass roof is an option that creates even more visual space to what is a comfortable and roomy interior to start with. Able to empower any driver, the BMW 6 Series Gran Turismo is really easy to drive. With all the parking aids on-board, you could just about park it blind folded. In fact you can have the car equipped with a self-parking option. Like a good lap dancer, the big six will adjust its movements to suit parking parameters. The nice modern lines are kept distinctively BMW, while the large boot lid could be the only clumsy bit in the overall GT design. Having over 600 litres of luggage space with the rear seats in place can’t be sniffed at though! L-shaped tail lights have LED technology and give the rear end an aggressive visual with the twin chrome exhaust outlets finishing the styling off nicely. One of the most striking new styling features for the four-door coupe is that of the frameless doors. I’m sure they make the 6 Series Turismo look even more exotic. The long sloping roof-line of the latest Turismo looks athletic and graceful. Many larger coupe designs find it a little more difficult to cope with the greater weight and larger dimensions when the performance credentials are explored, giving a handling package more accustomed to runny custard than a ride on rails. 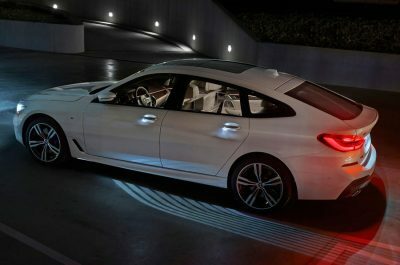 The new BMW 6 Turismo has tight handling that is presented in various driving modes for the driver to choose between. Air suspension, dynamic damper control and horizontal body control make for a first class driving experience over any road surface. When you hit higher speeds, the chassis automatically lowers 10 mm, while the spoiler lifts at the rear to create greater down force for better control. Velvety engines and drive-trains with copious levels of creamy power are on demand at the flick of the right-foot. Designed to respond instantly, the BMW 6 Series Turismo has great pick-up and a long set of touring legs – just perfect for touring some of the great roads around Australia. You best take one for a drive, as there are numerous engines available, all of which have plenty of horses that will deliver amazing performance and efficiency. Both petrol and diesel engines are offered which combine the latest eight-speed automatic gearbox technology. There are also RWD and AWD options. More powerful M Sport engines and hybrid power will become available in the future, but here are the current engines: The 630i with a turbocharged 2.0-litre petrol-fed four-cylinder developing 190 kW and 400 Nm of torque. The 640i with a turbocharged 3.0-litre in-line six-cylinder petrol engine developing 250 kW and 450 Nm of torque. The 630d with a turbocharged 3.0-litre diesel in-line six-cylinder, which develops 195 kW and stout 620 Nm of torque. 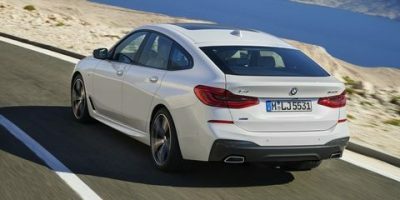 Under wraps but under the final phase of development is a plug-in petrol-electric hybrid version of the new BMW 6 Series Gran Turismo which will be known as the 640e Gran Turismo. This is a car that will change the way you think in terms of luxury/sport travel. Developed to be special, the new BMW 6 Series Gran Turismo delivers with one of the best rides in 2017. For any more information on the latest BMW 6 Series Gran Turismo or, for that matter, any other new car, contact one of our friendly consultants on 1300 303 181. If you’d like some fleet discount pricing (yes even for private buyers! ), we can submit vehicle quote requests out to our national network of BMW dealers and come back with pricing within 24 hours. Private Fleet – car buying made easy!